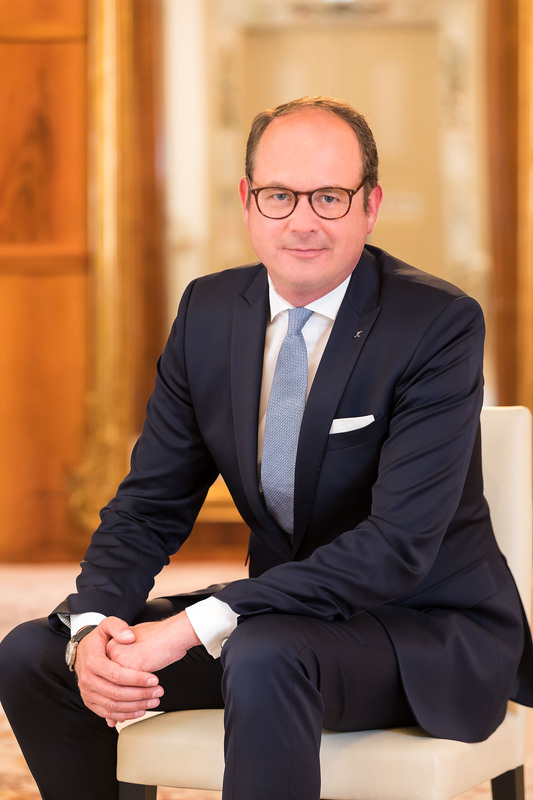 Markus Semer guides the overall strategy and management of Kempinski, setting the direction for the group as a pioneering European luxury hotelier. As Chairman of the Management Board, he leads the company’s senior executive team and drives forward the company’s strategy to deliver unique guest experiences rooted in craftsmanship. He is also directly responsible for overseeing Corporate Affairs and Communications, Brand Strategy, Guest Experience Strategy and Standards, and Legal Services. Markus was appointed Chairman of the Management Board and CEO of Kempinski Hotels in March 2016, and has been a Member of the Management Board of Kempinski AG and on the Board of Directors of Kempinski Hotels SA since 2008. Markus is a founding member of BE Health Association, a non-profit association supported by Kempinski. A classical music enthusiast, he is a member of the Foundation Board of Trustees of Beethoven-Haus Bonn. He studied economics at the University of Würzburg, Germany and holds a Master of Business Administration from the Ecole Hotelière de Lausanne in Switzerland.